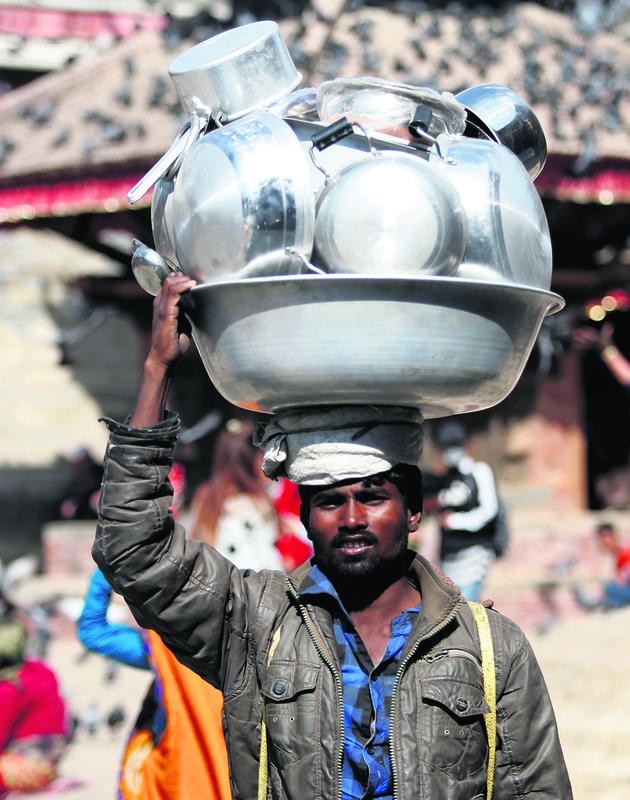 A vendor carries cookwear through Hanuman Dhoka, Kathmandu, on Sunday. KATHMANDU, Feb 5: Kathmandu Upatyaka Khanepani Limited (KUKL) has decided to increase its paid-up capital. The fifth annual general meeting (AGM) of KUKL held in Kathmandu on Sunday decided to raise paid-up capital of the water utility from Rs 30 million to Rs 100 million. Similarly, the board of KUKL has decided to raise the utility's authorized capital to Rs 550 million from Rs 450 million. According sources privy to the issue, all board members have reached to a consensus on capital increment plan. Minutes on new paid-up capital and authorized capital will be signed on Monday, the sources said. The paid-up capital is being raised to increase shareholders' accountability. Private sector holds 15 stake in KUKL, with Nepal Chambers of Commerce (NCC) alone holding 9 percent of shares. A KUKL board member said that the fresh investment requirement will make shareholders more accountable to the institution. Ministry of Water Supply and Sanitation owns 30 percent stake in KUKL, while 50 percent is owned by local bodies in the Kathmandu Valley. Remaining 5 percent has been set aside for employees. The AGM will continue on Monday as well as there are several other agendas like amendment to KUKL rules and changes in articles of association, according to the utility. Likewise, AGM also approved audit reports of 2013/14 and 2014/15. But details of audit reports have not been made public. KUKL is yet to prepare audit report of Fiscal Year 2015/16. It has also not submitted needful documents to the Office of Company Register, the sources said. KUKL was formed in 2009 by taking all the assets of Kathmandu Valley Water Supply Management Board on a 30-year lease. It has assets worth Rs 3 billion. As the water of Melamchi River is likely to reach Kathmandu by October this year, KUKL's capacity and management to distribute the water has often been questioned.